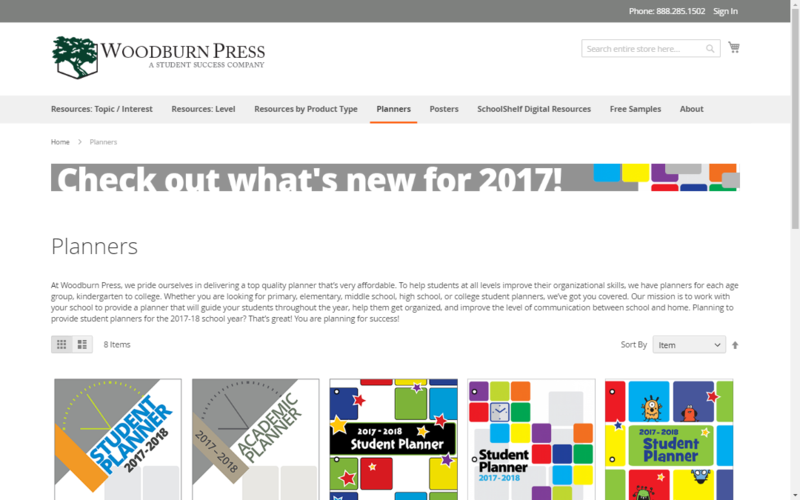 Woodburn Press has been focused on providing students with education resources for more than 20 years. 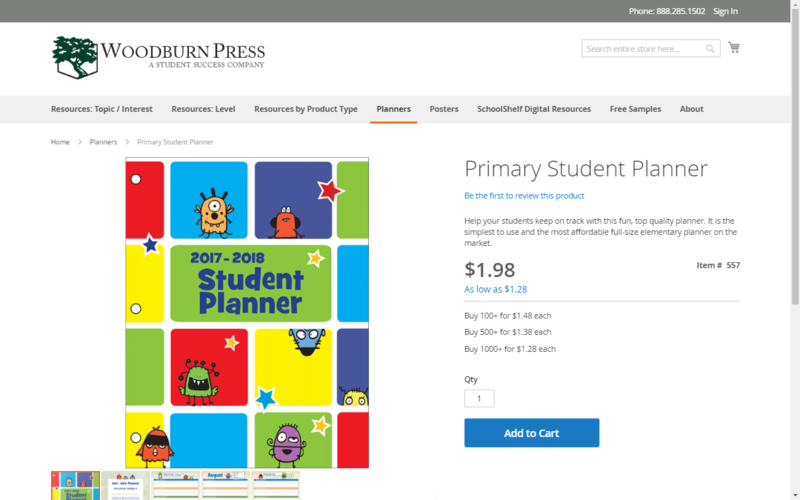 Via their Magento 2 site, Woodburn Press sells hundreds of items including booklets, workbooks, pamphlets, posters, displays, and student planners found in elementary schools, middle schools, high schools, and colleges across the U.S. and Canada. 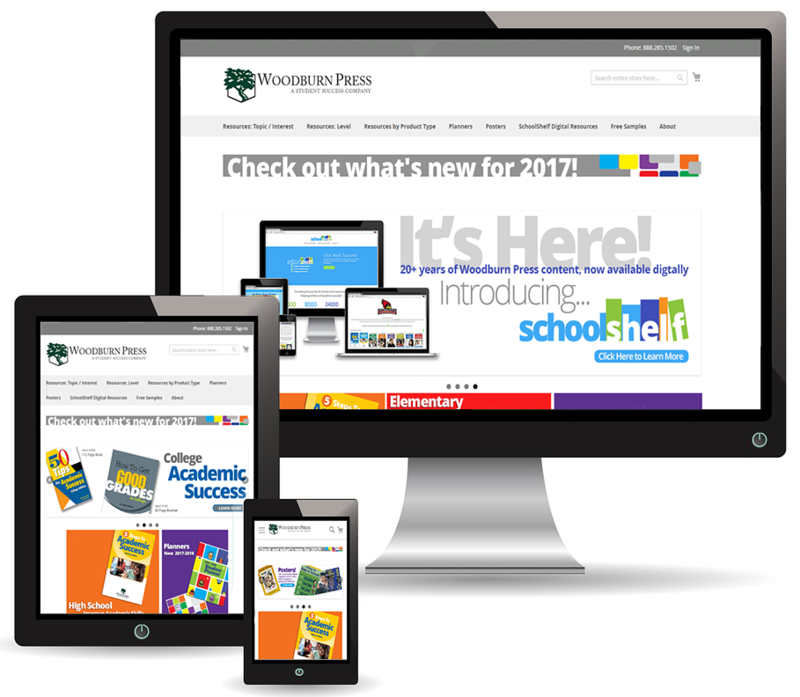 After experiencing difficulties with product browsing and checkout hangups on their Magento 1 site, Woodburn Press sought help from InteractOne. A code review confirmed Woodburn’s suspicions that over-customization and flawed coding practices had led to conflicts and user-interface problems. Woodburn Press tasked InteractOne with upgrading their site to Magento 2 to address their code issues, as well as benefit from the improved feature sets for marketing and UX. Interactone successfully migrated Woodburn Press from Magento 1 to Magento 2. In the migration, we developed special features including product pricing options, category layout grids with CMS elements and upgraded sorting. One special element in particular that we developed was tiered pricing per product type, rather than by individual SKU. For example, if a customer buys more than 20 brochures, they can purchase them at a 5% discount. 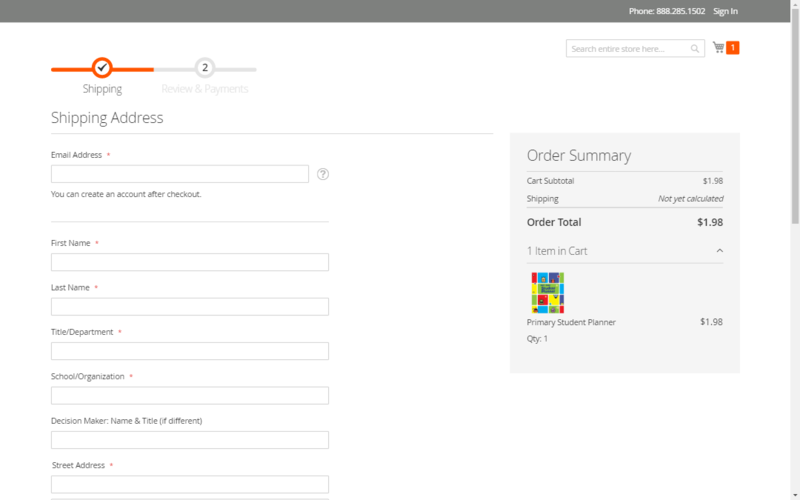 The new UX/UI changes included a fully responsive design (native to M2), new product configurations as well as category and product page layout changes to make browsing a breeze for both retail and wholesale customers. With their new Magento 2 website, Woodburn Press has the speed and flexibility of M2 as well as properly integrated custom development. Additionally, we were careful to use features that would allow the client to make most changes and adjustments without involving a programmer. In the future, our client will be able to update or patch Magento as necessary without fear of disabling features or weighing down the site. 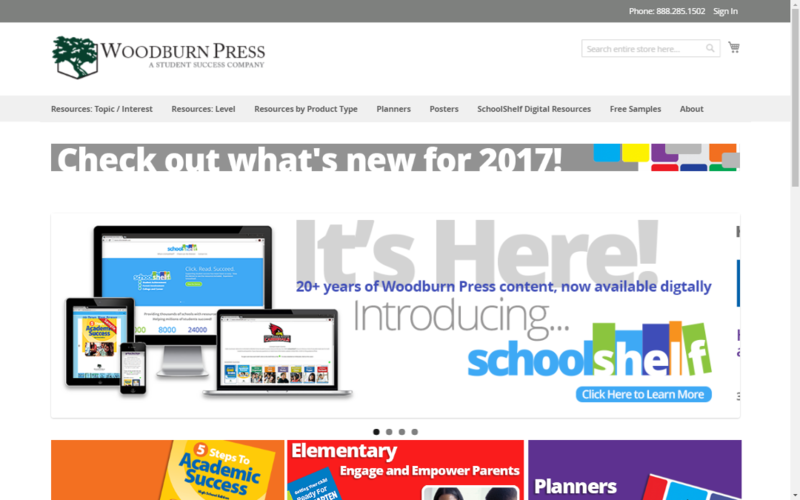 With a faster, cleaner design on the M2 platform, Woodburn Press is primed for success. If you are interested in learning more about how InteractOne can help with your product catalog issues, or optimize how you’re using Magento for custom options, please contact us or call 513-469-3345.